We export Indian raw cotton from various cotton growing Indian states such as Gujarat, Maharashtra, Andhra, and Rajasthan to essential markets across Europe and Asia (China, Japan, Bangladesh, Pakistan, Croatia, Malaysia, Thailand, Croatia, Turkey). Since the last 27 years, Japan has been a significant market for our cotton business – inspite of its extremely stringent quality standards. Across our business, our top talent is armed with rich worldwide experience, powerful insights into markets and comprehensive knowledge of catering to varied customers. It helps us gain high-value and dependability in an aggressive, competitive and stringent industry. Cotton is a soft, fluffy fibre obtained from various species of plants, genus Gossypium, family Malvaceae (Mallow), and is the most important and widely used natural fibre in the world. The plant is a shrub native to tropical and subtropical regions around the world, including India. A cash crop for Indian farmers, the country has among the largest areas under cotton cultivation. Cotton Sowing and Harvesting: A cotton crop sown in March or April is typically ready to harvest in September. At first the seeds are planted and the plants begin to grow and develop, they must be protected from insects, diseases and weeds. After flowering, cotton fibres (lint) develop in the boll in three periods: 30 days, 60 days and then the third stage when the cotton is mature for harvesting. The development of a cotton plant and its maturity are determined primarily by temperature, water, nutrients, and sunlight. Cotton is harvested either by machines as in developed countries like the US and Australia or by hand picking, prevalent in developing countries like India, China and West Africa. Hand harvesting takes place when the plant is still green and is carried out in rounds to pick only mature balls of cotton flower, the whole harvesting may take over three months. A more elaborate, cost-effective and labour-intensive process, hand harvesting also yields cotton or “kapaas” that is normally free of trash prior to be ginned. Cotton is Roller or Saw Ginned depending on varieties and ginning practices. At the ginnery, cotton fibre is separated from seeds while preserving the quality of the cotton.In ginning, cotton is now dried, impurities removed (plant parts and field trash) and fibres straightened. Saw ginned cotton is more uniform and cleaner, and has higher productivity than roller ginned cotton. Hydraulic pressing machines are used to compress ginned cotton into bales of 160-170 kgs. These are wrapped in white cotton cloth with 10-12 plastic straps to hold the bale. A 1X40FCL container can load upto 150 bales and approximately25 tons of cotton. The most sought after variety from the India market is Shankar 6, Mech1 and MCU5. With other varieties filling other demands. About 90% of an estimated 121.91 lakh hectare area under the cotton cultivation in India is the (Bio Tech) Bt cotton variety. India entered commercial agricultural biotechnology in 2002 with the approval of Bt cotton hybrids for commercial cultivation. Introduced at a time when cotton was grown on 5% of the total crop area, but used up 55% pesticides, transgenic Bt cotton has lived up to its promise of reduced insecticide use and protection against major species of Indian bollworms, greater yield and cost-effectiveness while being an environmentally safe alternative to conventional cotton seeds. Other landmarks in the Indian cotton history include the development and release of native hybrids like G cot DH 37, G cot DH 9, DDH 2 and drought-tolerant straight varieties like SRT 1, Renuka, LRA 5166, Anjali and Rajat. The first hybrid in the cotton crop was developed in India (Surat), by Dr C T Patel (H4 intra hirsutum in 1970) – more than 200 varieties and hybrids were evolved in the subsequent five decades. For us, quality is a promise that we deliver at all levels. 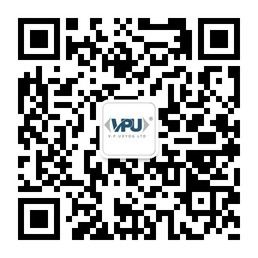 It satisfies customers and re-affirms our culture of delivering precision. We insist on leveraging the expertise of our most experienced professionals and later in collaboration with SGS and Wakefield, to further assure our clients of our international quality standards. 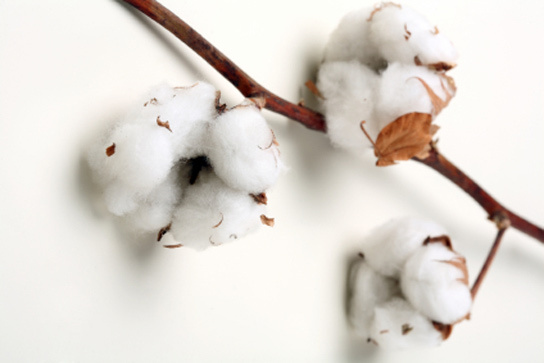 We ensure that the only whitest cotton is passed, which can stand the scrutiny of international standards. Fibre length, Micronaire, Strength and Colour are the most significant parameters, which are supervised by our personnel, thereby ensuring that only the finest quality reaches the markets. We insist that trash in our cotton is strictly controlled to be less than 3% (standard for Indian cotton) and moisture below 8% (standard for Indian cotton). To achieve this, 3PQC conduct unbiased analysis by withdrawing 2% -10% random cotton samples from each lot of 100 bales of the bales. They are assessed for a range of technical parameters using the HIV machine – and the cotton is finally approved or rejected basis the result. Our services include pre-shipment loading supervision and country damage which incorporates controlling, loading and unloading operations in ports, factories and warehouses etc. This also ensures suitability and cleanliness of containers prior to loading of cotton bales and helps avoid contaminating the bales with oil etc. If required, samples can be sent for approval or alternatively tested by visual or mechanical methods using HVI or High Velocity Instrument. The tests done by HVI machine are industry standard and are objective and effective for measuring parameters like fibre length, micron, colour (SM, M+, M), strength, uniformity, moisture, short fibre and trash content and elongation. We also offer a host of pre and post-shipment quality control services that include seal breaking/devanning/tallying (S/D/T)which verifies the content of containers and railcars – confirming what goods have arrived and received. Container numbers, external condition of container, container seals, number of bales and condition of bales are checked and declared. Random sampling helps to ascertain the true and accurate value of cotton, while weighing supervision services ensures that weights are correctly ascertained. After complete inspection, bales are stuffed in using the box space effectively. They are loaded onto containers with big bold legible bale markings to facilitate precise and hassle-free transport. At the port, they are shipped in the next available vessel. India has the second highest production and consumption of cotton in the world. Cotton is one of the principal crops of the country and is the major raw material for the domestic textile industry. India is the second largest exporter of raw cotton next to the US – the main world market being China. Largest net importers of cotton include China, Bangladesh, Pakistan, and Indonesia. India has one of the lowest Stock to Use Ratio in case of cotton, which is as high 39% in China, 21 in the US, 35% in Pakistan, 77% in Brazil and 26% in Turkey, as compared to 12% in case of India.